Data for July Durable Goods Orders was released today and provided further support for a positive view on the U.S. economy. On a headline level, orders rose by 2.0% from June which was revised up to a 4.1% increase from the initial report of 3.4%. Great news there, especially considering expectations were for a -0.4% decline. If we take a deeper dive into the numbers, do we still maintain our optimism? Below is a quick analysis (Spoiler Alert: The answer is yes). Excluding volatile segments – Check. One of the trickiest aspects of the Durable Goods Orders report is the inclusion of highly volatile segments such as aircraft. For example, the monthly change for nondefense aircraft and parts was -31.7%, 69.7%, and -6.0%, respectively, for May through July. When we exclude transportation, new orders rose 1.0%. 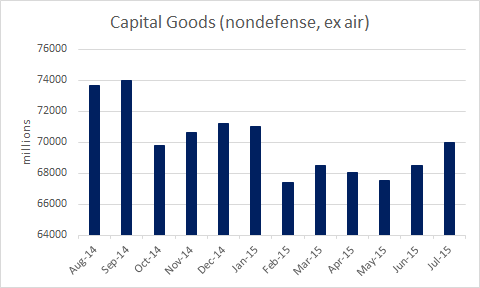 Many people use new orders for core capital goods (nondefense, excluding air) as a proxy for business investment. We saw a 2.2% rise there from a 1.4% increase in the previous month. Capital goods represent items used in the production of goods and services so it represents spending for future growth. There is weakness year-over-year in certain parts of the data. However, we must consider oil producers have buttoned up spending and production in recent quarters due to the sharp decline in oil prices and a stronger USD has impacted exports. 2015 is not 2014 and 2014 was not 2013. 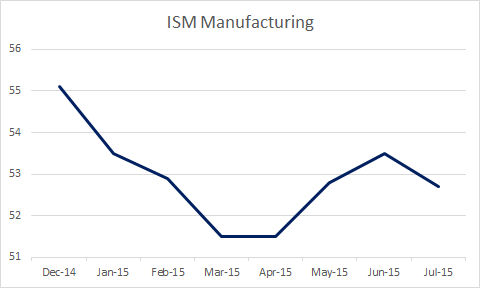 The rate of growth in manufacturing declined for the first part of the year before finding a floor in the spring. Since then we have seen an uptick. The key is we are still seeing growth (above 50 = expansion). An earlier report in the month showed business inventories rose 0.8% largely in part to a 1.4% increase in the auto industry. The focus is whether sales are pacing alongside stock buildup. 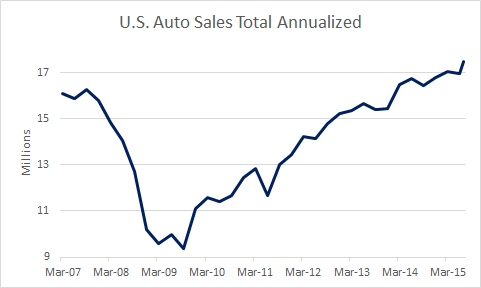 Auto sales have been one of the brightest spots in the economy: recently and since the Great Recession. Sales overall ticked up 0.2% to move the seasonally adjusted inventories/sales ratio to 1.37. This ratio has moved higher over the last year so we will keep a close watch to see if there are any signs of a slowdown in demand. With back-to-school shopping largely unaccounted for in the data and strong retail sales growth (0.6% in July), we could see a normalization in the ratio in the coming months. On the other hand, too much inventory and not enough demand can cause problems for subsequent quarters of growth as inventory buildup is a large factor within GDP. Inventory growth added 0.87% to Q1 GDP which helped to reduce the level of contraction to -0.2%. As David Ross, Managing Director of Global Transportation & Logistics at Stifel, states in a recent note, “We believe we are going through a destock (or rightsizing of inventories) presently. It appears to have begun in 2Q15 and we expect it to continue through 3Q15.” Inventory buildup and drawdown is part of the natural ebb and flow of healthy industry. We will see how August and September set up for the Q4 holiday shopping season. The durable goods number from today adds more paint to the canvas that recent data for employment, housing, and the consumer have already put their strokes on. From where we sit, the picture is appealing. It may not be a Picasso or da Vinci, but it’s certainly no airbrush caricature from a carnival either. As we discussed on Monday, the Astor Economic Index® shows above average growth. Hopefully China, Greece, etc. do not trip and accidentally put their fists through the picture. All information contained herein is for informational purposes only. This is not a solicitation to offer investment advice or services in any state where to do so would be unlawful. Analysis and research are provided for informational purposes only, not for trading or investing purposes. All opinions expressed are as of the date of publication and subject to change. Astor and its affiliates are not liable for the accuracy, usefulness or availability of any such information or liable for any trading or investing based on such information. The investment return and principal value of an investment will fluctuate and an investor’s equity, when liquidated, may be worth more or less than the original cost. An investment cannot be made directly into an index. The Astor Economic Index® is a proprietary index created by Astor Investment Management LLC. It represents an aggregation of various economic data points: including output and employment indicators. The Astor Economic Index® is designed to track the varying levels of growth within the U.S. economy by analyzing current trends against historical data. The Astor Economic Index® is not an investable product. When investing, there are multiple factors to consider. The Astor Economic Index® should not be used as the sole determining factor for your investment decisions. The Index is based on retroactive data points and may be subject to hindsight bias. There is no guarantee the Index will produce the same results in the future. Bringing it back to Rob Stein’s 2015 Outlook Report and discussion about the Fed and the expected rate hike for 2015. The possibility of this change in the rate dynamic would, in his opinion (and the rest of the Investment Committee’s), introduce volatility into the market. The report ended with this statement: “Whether the market rises by a single-digit percentage, is flat for the year, or even goes down 5-10%, the outlook still appears positive for accretion over time – as long as above-trend economic growth remains…” We are seeing the down 5-10% play out now. Markets were belligerent in their downward assault last week. Based on early session activity, this movement appears to still have legs. 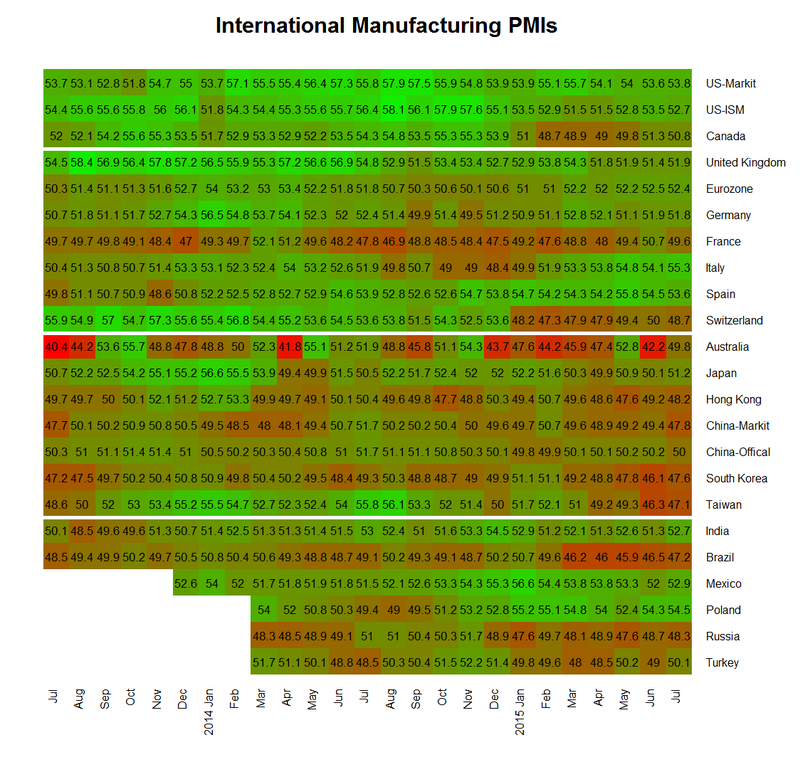 Global selling pressure that started over a month ago has caught up to domestic markets. New concerns on growth coupled with global selling have turned the focus now to the “safe haven” U.S. stock market. The last few days, including this morning, have made the U.S. markets look indistinguishable from the developing and emerging nation markets half a world away. Now the pundits who have been waiting to talk about a break in the dam have a clear pedestal and will no doubt make it sound extremely scary for investors who will listen. To put things in perspective, one week ago we were within ear shot of all-time highs in the S&P 500 Index. Today we are within one current trading day from a two-year low set last October, when investors were spooked. October’s move ended up whipsawing many of those who panicked. The October tape looked similar to 2011, but it also felt similar as well. 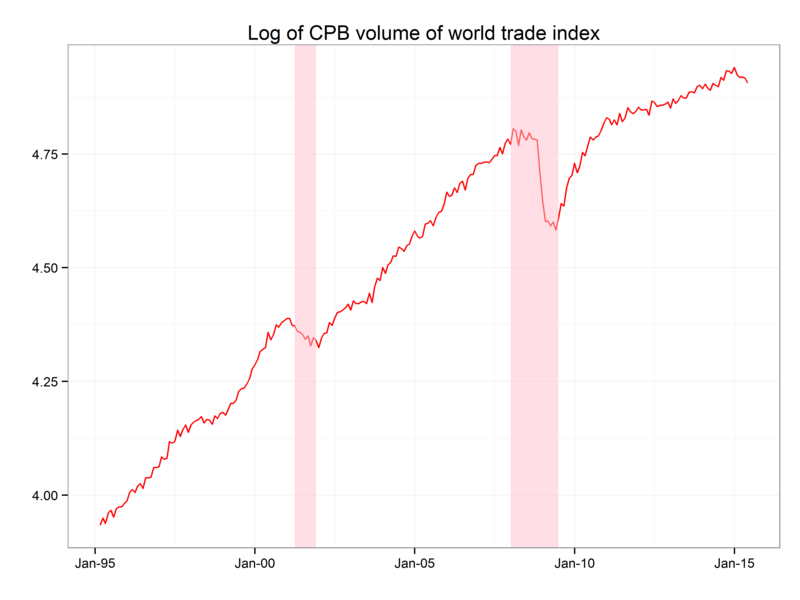 Even though there was a spike in volatility and selling pressure, 2011 was only a distant cousin to 2008. We must be careful not to make similar comparisons to certain periods any time markets feel tired or growth feels uneven. We run the risk of creating this reaction time and again if we do. Astor focuses on the “Why?” behind market behavior, using economic trends as a proxy. The markets behave in many ways in the short-term. Over time, Astor believes it is the economy that determines true direction and stocks are valued due to economic signals. Based on recent reading as of last week, the economy is still strong. As such, we expect this market move to be temporary. Even in the last two days: PMI shows expansion, jobless claims remain low, and nonfarm payrolls are over 200K (This scenario was not the case in 2008 or even 2011). See Figure 1 & 2 below. Without a doubt, there are concerns about emerging markets. However, the developed world seems to have found its footing. Recent economic measures in Europe have even surprised higher (See Figure 3). 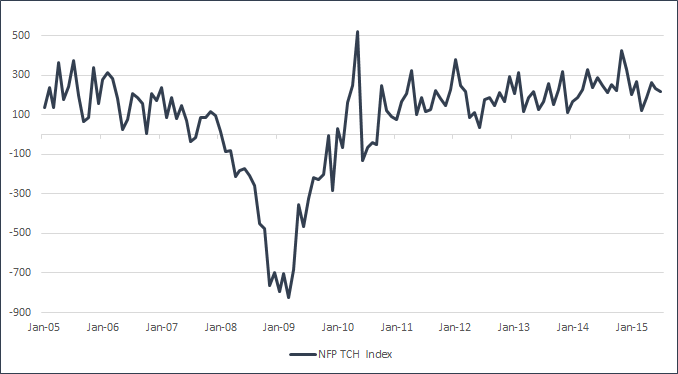 We are seeing signs of financial stress spreading to 2012 levels, which we are monitoring closely. We will also get new rounds of economic data in the next 10 days to help paint a more detailed view of the current environment. The debt crises that plagued 2008 and 2011 are a fraction of what they were. Investors (over)focused on the rate move are missing the picture there. Corporate America (the actual value of the market) is as healthy as it’s been. Companies are hiring. 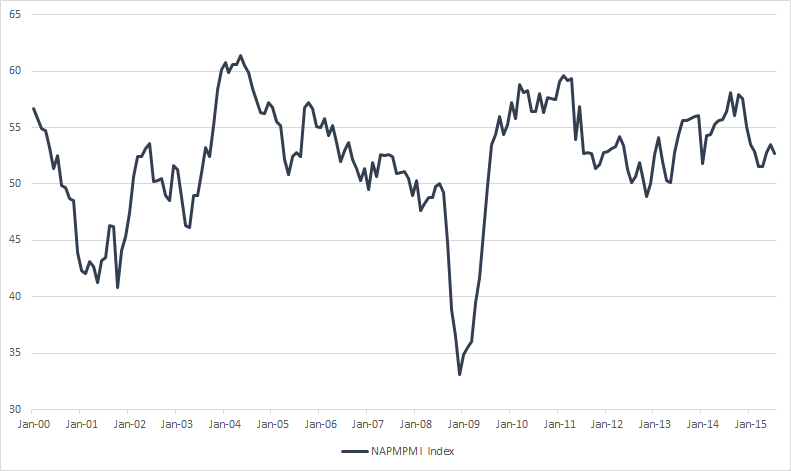 Even though manufacturing has been a bit weaker in recent quarters than what we want: it remains positive and moving forward. The consumer has picked up some of the slack as seen by increasing home price indexes and home sales. We do not see overheating economy, an overvalued stock market, an over exuberant consumer/investor, or a treacherous debt issue. The signs of excess are not there. Expanding economies and bull markets do not typically end with a backdrop like the one we have currently. Although recent market action may have you believe otherwise. Pullbacks are part of bull markets but moves as aggressive as the past few days sometimes catch you in the frenzy of the moment. If a comparison is to be made, you should look to October 2014 or Fall 2011 and not 2008. The media and the strength of the selloff may sway you to believe the bull market is over, but we do not believe bull markets end in this type of environment. Also, see additional commentary from Brian Wesbury at First Trust. The S&P 500 Index is an unmanaged composite of 500 large capitalization companies. S&P 500 is a registered trademark of McGraw-Hill, Inc.